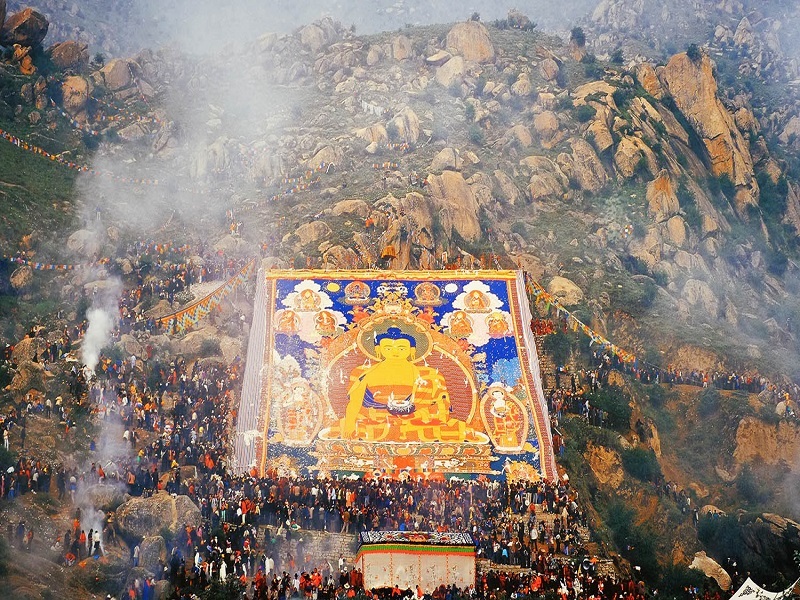 Saga Dawa is a great festival in memory of the Birth， Enlightenment and Final Nirvana of the Buddha. Saga Dawa means "month of merits", it often takes place from May to June. The most important things in the period are“making merits”. Merit is a concept which means charitable and pious deed, it including good behaviors such as pray to Buddha, chanting, donation and free captive animals. Buddhist consider it a good way to find one's true self. Many pilgrims come to Tibet Lhasa city every year during this time. It's the best time for them to making merits. It's said that the benefit of merits can be 1 billion times than usual! The pilgrims begin the pilgrimages to the sacred mountains, the holy lakes and the divine monastery prays and crawls for a better life and a better world. The 3 circumambulation in Lhasa city is most famous for the pilgrims. 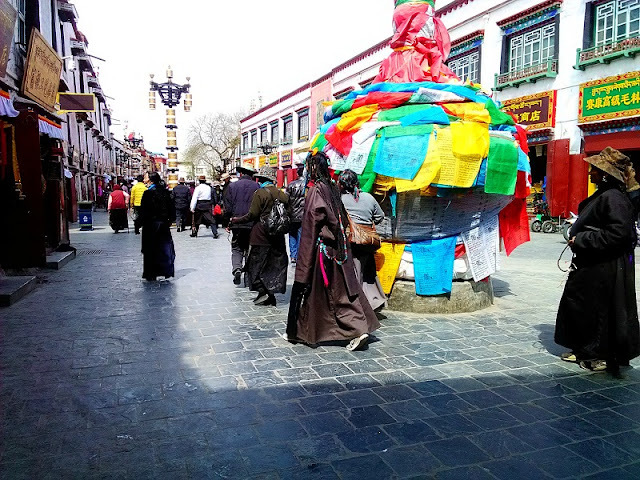 The inner ring road called Nang-Skor-Circle, it's about 500 meters around the main temple of Jokhang Monastery. 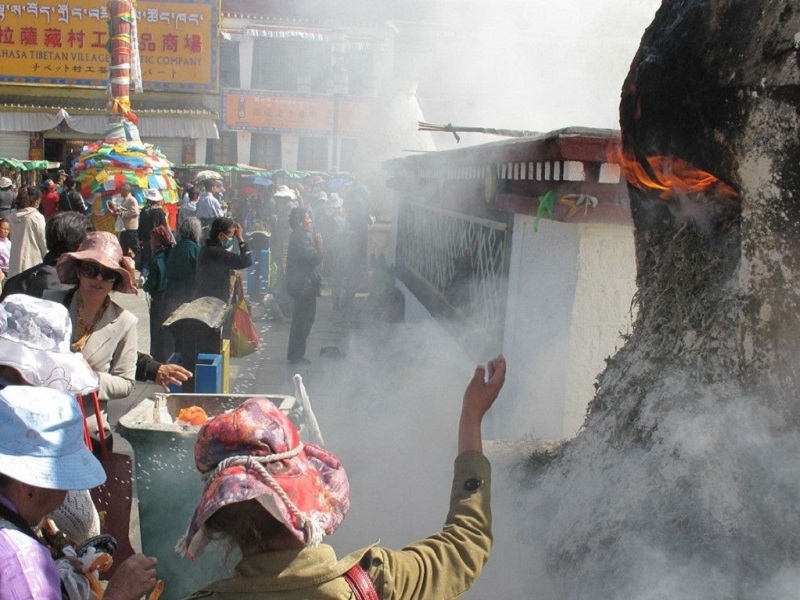 The middle ring road called Bar Skor, it's nearly 1000 meters around the Jokhang Monastery. And the outer ring called Ling Skor, it's a circle around the old city of Lhasa with 5000 meters. 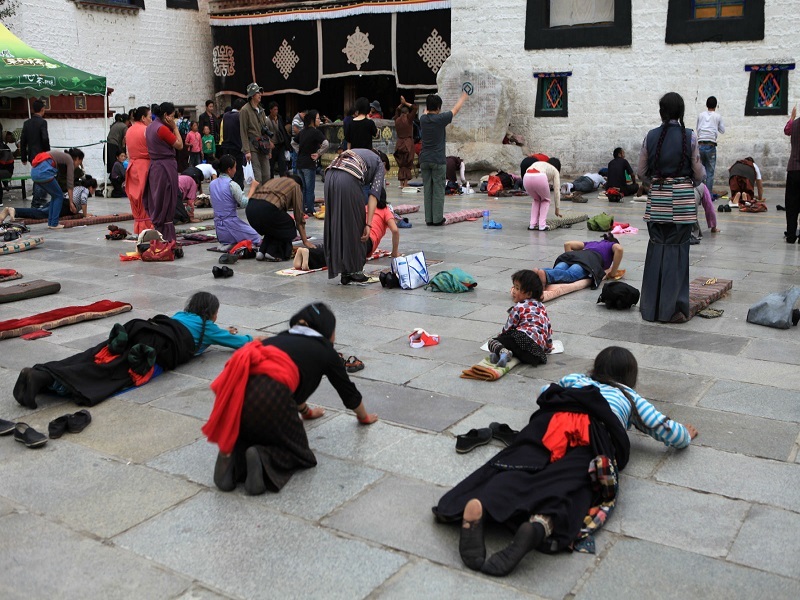 As the festival coming, You can find so many pilgrims pray around the line in Tibet. It can be an amazing view to you. Thousands of Butter Lamps will be lighted in Tibetan temples in the festival. Butter Lamp is a unique candle filled with butter. It's called the light of spirit in Tibetan Buddhism. In the Tibetan Buddhist tradition, Butter Lamp is a gift devoted to Buddha. 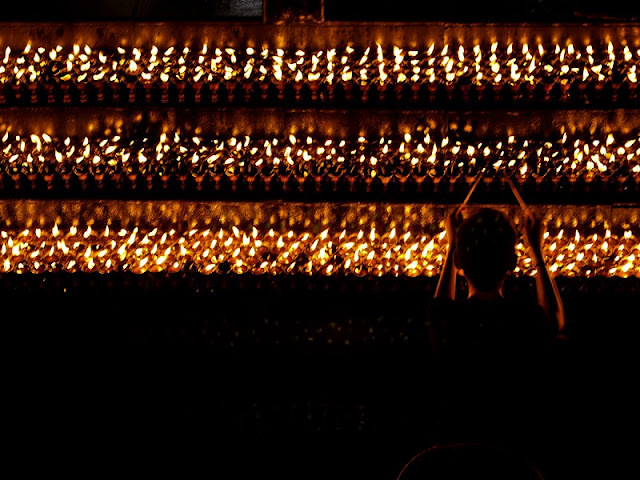 Buddhist thinks one can be wiser and stronger in the light of Butter Lamps. Most pilgrims will pray and chant in the front of these temples, and light Butter Lamps with a strong faith. The donation is a good behavior in Tibetan Buddhism, so you can find many people donate to temples and monks, give money to thousands of beggars during the festival, especially when you walk in the Ling Skor, you may be shock up by thousands beggars and pilgrims along the road.Also, crowds will feed animals like cats, fishes. 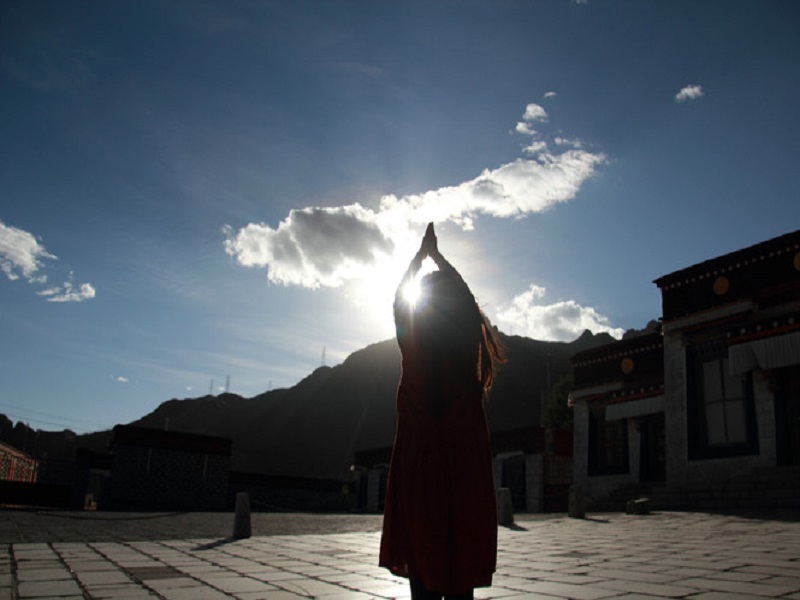 Saga Dawa is the starting point of a holy month in Tibetan Buddhism. When the night come, it's just the begin of the following celebration.